Figure 12.2 Somali youths captured by the Canadian Airborne Regiment, bound and wearing signs that say Thief. The Somalia Affair would mark one of several low points in the peacekeeping tradition in the 1990s. The legacy of the Cold War continues to influence world affairs. After the dissolution of the Soviet Union, the post-Cold War world became unipolar instead of bipolar, with the United States the sole remaining superpower. Being caught geographically between two superpowers from 1945 to 1991 gave shape to Canada’s international role and its aspirations for middle power status. Defining a new international role in the post-Cold War era would take Canada into new conflicts. In November 1989, the world — including foreign policy experts and espionage agencies from both sides of the Iron Curtain — watched in surprise as peaceful protesters in East Germany marched through guard stations at the Berlin Wall. Within hours, people from both East and West Berlin flooded the checkpoints and began tearing down large chunks of the wall. For months, demonstrations in East Germany had called on the government to allow citizens to leave the country. These protests were one manifestation of a larger movement with origins in Poland’s Solidarity (Solidarność) movement, which would sweep across East Germany, Hungary, Czechoslovakia, Bulgaria, and Romania, leading swiftly to revolutions — most of them peaceful — and resulting in the collapse of Communist governments in Central and Eastern Europe. In Budapest in 1956, and Prague in 1968, the Soviet Union had restored order through a large show of force. In the case of Hungary, over a thousand Soviet tanks were involved, with 30,000 troops, and as many as 3,000 Hungarians died; in 1968 the USSR mustered half a million troops from the Warsaw Pact nations and more than 6,000 tanks to put down (with far less bloodshed) the Prague Spring. That these events were not reprised in 1989 was an indication to all that the Soviet Union was itself collapsing. In July 1991, Soviet president Mikhail Gorbachev (b. 1931) and United States President George H. W. Bush (b. 1924) signed the Strategic Arms Reduction Treaty, or START, which committed their countries to reducing their nuclear arsenals by 25%. A month later, in an attempt to stop the changes begun by Gorbachev’s reforms, Communist Party hardliners tried to remove him from power. Protests arose throughout the Soviet Union, and by December 1991, the nation had collapsed. In January 1992, 12 former Soviet republics formed the Commonwealth of Independent States to coordinate trade and security measures. The Cold War was over. The dust had barely settled on the crumbling Berlin Wall when the global order began to shift. The United States was, effectively, unleashed from whatever restraint the fear of provoking Moscow previously exerted. Cold war subterfuge gave way to direct attacks on enemy and rogue states. In December 1989, the Bush administration launched a military intervention in Panama and, claiming to be acting on behalf of human rights, deposed the military dictatorship of Manuel Noriega (b. 1934). Former CIA connections between Bush and Noriega, as well as United States interests in maintaining control of the Canal Zone, prompted the United Nations and world public opinion to denounce the invasion as a power grab. Operations Desert Shield and Desert Storm followed in 1990-1991 as American forces backed Saudi Arabia and Kuwait against Iraq, which drew the American military deep into the Middle East. Involvement in conflicts in two disintegrating countries — Yugoslavia and Somalia — came soon after. A brazen attack on New York City and Washington, DC on September 11, 2001 resulted in the deployment of American troops in Afghanistan, and two years later, the Second Gulf War (or the War in Iraq) began. Canada’s relationship with the outside world would likewise turn more violent in the decades after the fall of the USSR. Between 1956 and 1981, Canada began (and mostly completed) eight distinct peacekeeping missions with the United Nations (UN), half of which were active in the 1970s. From 1981 to 1989, however, no new missions were undertaken. Then, at the end of the cold war, Canadian involvement increased by an order of magnitude. Missions — sometimes repeat missions — were undertaken from 1989 to 2000 in Namibia, Western Sahara, Cambodia, Somalia, the Balkans, Haiti, Rwanda, Central Africa, East Timor, Sierra Leone, the Democratic Republic of Congo, and Ethiopia and Eritrea. The stability that had been provided by the Cold War was gone. This was most clear in the former Yugoslavia, where a communist regime independent of Moscow and the Warsaw Pact descended into bloody ethnic and religious conflict. Out-of-bounds to Western interference prior to 1989, Yugoslavia became increasingly vulnerable to external influences, especially as its economy began to collapse. Canadians were part of a large contingent of NATO troops sent into newly independent Croatia, Bosnia and Herzegovina, and Kosovo. The situation in Somalia is perhaps more instructive: the Somali regime in the 1970s was essentially Marxist and benefited from Soviet support and investment; in 1978, however, it switched its allegiance to the United States. The end effect was that this strategically critical country on the east coast of Africa had built up enormous military stockpiles and the largest army on the continent. When the dictatorship (supported by the United States) began to crumble in the mid-1980s, neighbouring nations started picking at the edges while internal dissent created the conditions necessary for civil war. No longer able to whipsaw the East against the West, Somalia became a failed state in which there was no national administration, only warring factions. Canadian troops trained as peacekeepers were stretched to their limits, particularly since most were now assigned to keep the peace where no peace existed. 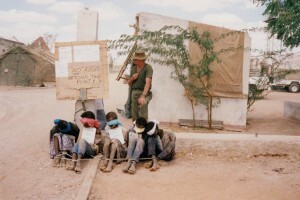 Regular combat troops were added to the mix, including the Canadian Airborne Regiment, which was sent into Somalia in December 1992 as part of the humanitarian mission. The Canadian Regiment’s violent, arbitrary, and murderous behaviour led to several civilian deaths (including the beating to death of Shidane Arone) and a political scandal at home, which was dubbed the Somalia Affair. Another consequence of the East African fiasco was a loss of public confidence in the military and faith in the peacekeeping tradition. If our decades of paralytic confrontations between the superpowers has led many Canadians to see themselves more as spectators and critics than as actors on the world stage, they had better recognize, for better or for worse, that the world has changed and we are once again called upon to act. The goal of Canadian policy makers in these circumstances was to establish a multilateral, post-cold war order. (External Affairs minister — and former PM — Joe Clark was not one of them.) In the case of Iraq, what began as a UN initiative parallel to American objectives quickly became a United States-led, 34-nation coalition aimed to push Iraq back to its own borders. Incredibly well armed after years of buying weapons and fighter aircraft from Western nations and amassing Soviet-built Scud missiles, Iraqi forces were nevertheless quick to retreat behind a flaming wall of sabotaged oilfields. The ground war was over in 100 hours. Brief though it was, the Gulf War (or, as it became known a decade later, the First Gulf War) was the first conflict in which Canada was a belligerent since Korea. Amazingly, Canadian forces suffered no casualties. There was hope in the early 1990s that the end of the Cold War would bring with it a peace dividend. That is, the cost of maintaining readiness in the face of the threat posed by the Warsaw Pact and other communist countries would come to an end, and resources could be spent in other ways. This was not to be the case globally, since President Bush continued to pursue a New World Order. Canadians, however, were mostly sanguine about playing an active military role internationally, and the Canadian Forces were positioned for severe cuts. Canadian bases in Germany — a holdover from both WWII and the Cold War — were closed. Spending on Armed Forces materiel, however, actually accelerated in the early 1990s until a change of government turned the tide against National Defence Headquarters. As the new Liberal administration led by Jean Chrétien (b. 1934) rounded their fiscal guns on the Forces, news of the Somalia Affair broke, and a Commission of Enquiry was launched. The Commission produced a parade of embarrassments, including systemic misogyny at every level, cover-ups, conflicts of interest, defalcations, and outright lies. When the Commission presented its report in 1997, the Forces and National Defence HQ were comprehensively blamed for illegal, immoral, undisciplined, irresponsible, and inhumane behaviour. Recommendations for change were equally comprehensive, and the pressure was on to retool the Armed Forces as a more diverse organization that more closely resembled civilian Canada. The peace dividend proved to be illusory, and Canada adjusted to a more technological and expensive era of war making and peacekeeping. In the same year as the Somalia report, Canadian troops returned to the Balkans. 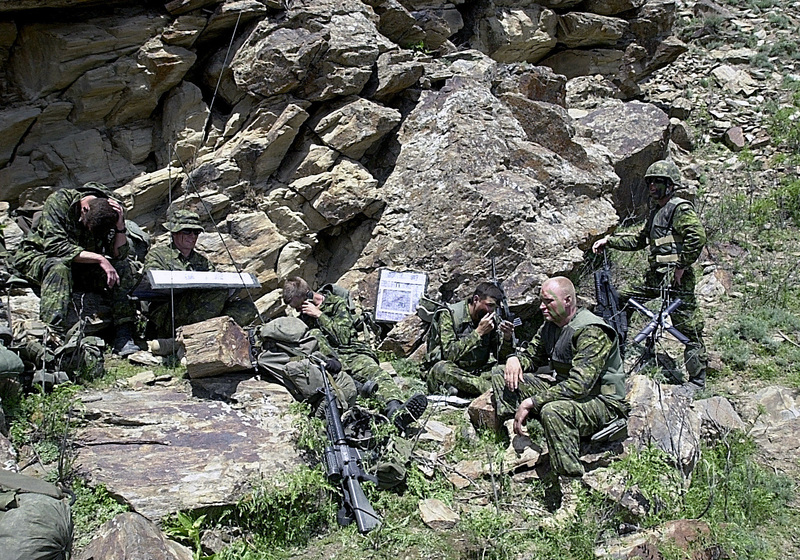 In 1993 Canadian soldiers with the United Nations Protective Forces (UNPROFOR) were deployed in the Medak Pocket, a region claimed by Croatia and by invading Serbian troops. The Canadians were to create a barrier between the two forces but came under fire from the Croatian side. This 15-hour firefight was the first significant challenge to Canadian ground troops since Korea. Four years later, the focus shifted to Kosovo. Canada’s involvement in this phase was as an aerial combatant: CF-18s flew repeated sorties into Serbia in an effort to bring an end to ethnic cleansing in the Albanian enclave. In the first decade after the fall of the Eastern Bloc, Canada engaged in more actual combat missions than it had in the 20 years after the Korean War. The trend would continue into the new century. Figure 12.3 Artist Elaine Goble’s drawing of Roméo Dallaire (“Rwanda has my soul”) captures the personal and emotional burden of the frustrated peacekeeper. Genocide, the horror that the 20th century found the means to massify, was a feature of the conflict in the former states of Yugoslavia and central Africa. Just as the end of the Cold War set free decades of resentment in the Balkans, the end of colonialism let loose ancient hostilities and those newly developed under European empires. Independence movements sprang up that pitted one formerly colonized people against another. Divisions that tangled up ethnic histories, language, religious identity, ideology, unsettled and conflicting claims to ancestral lands, and uneven distribution of the spoils of decolonization pitched African communities into civil wars and military campaigns. This was the pattern in Rwanda, formerly German East Africa and then, from 1919, occupied by the Belgians. Under the European imperialists, the line between the minority (the more privileged Tutsis) and the majority (the less advantaged Hutus) became sharpened. Distinct “racial” identities were ascribed to both groups and, under the Belgians, identity cards were issued that signified whether one was “Tutsi” or “Hutu.” Generally speaking, European powers in the region, along with the Catholic Church, favoured the Tutsi and their historic advantages were enhanced. Things began to unravel as independence movements gained ground in the late 1950s and early 1960s. Thirty years later, the legacies of colonialism in central Africa included a long-running battle between the Hutu-led government of Rwanda and Tutsi-dominated Burundi next door. Tutsi populations from Rwanda went into exile in Burundi and then fought to restore their position at home. A genocidal campaign against Hutus in Burundi was launched in the 1970s (perhaps as many as 200,000 were killed), with the result that thousands of Hutu were driven into Rwanda, where their resentment towards the Tutsi continued to grow. By 1990 the Hutu-led administration and military in Rwanda began preparations for a “final solution” to their rivalry with Tutsi populations. The 1991 invasion from Burundi of the Tutsi Rwandan Patriotic Front (RPF) heightened tensions and, as civil wars erupted in both Rwanda and Burundi, led to the deployment of a United Nations Assistance Mission for Rwanda (UNAMIR) in October 1993. UNAMIR’s mandate was to monitor the Arusha Accords between the Hutu and Tutsi factions and to oversea the crafting of a transitional government and humanitarian aid. 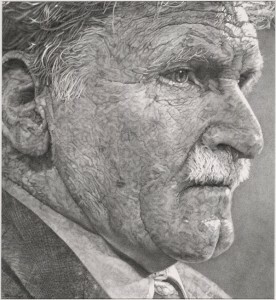 The UN placed Canadian Brigadier-General (subsequently Major-General) Roméo Dallaire (b. 1946) in charge of a small and poorly supplied force. By January 1994, Dallaire was receiving intelligence to the effect that a massive genocidal attack on the Tutsi minority was being planned. Weapons were being stockpiled, and Hutu were receiving clandestine training. Dallaire passed his information to the UN in what became known as the “Genocide Fax” and made plans to raid suspected weapons caches. He was chastised for attempting to overstep the mission’s mandate. Dallaire’s hands were officially tied. Then, in April 1994, the recently elected Hutu president of Burundi and the Hutu president of Rwanda were assassinated when the aircraft they were travelling in together was shot down over the Rwandan capital. The succession struggle that followed was rapid and bloody: the Prime Minister — Agathe Uwilingiyimana — was murdered by Rwandan troops, along with the 10 UNAMIR soldiers assigned to protect her. Moderate leaders were hunted down and executed as the genocidal slaughter got fully underway. Dallaire’s combined force of Canadian, Pakastani, Ghanaian, Tunisian, and Bangladeshi troops were sufficient to protect 32,000 Tutsi in Kigali. Elsewhere, the campaign claimed some 800,000 lives. 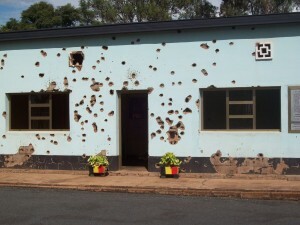 Figure 12.4 Belgian personnel with UNAMIR were tortured and executed at this site in Kigali, which is now a memorial. Dallaire’s account of the outrages, Shake Hands with the Devil (2003), provides rare insight into peacekeeping in the post-colonial, post-Cold War era. The Rwanda mission — along with a decade of disasters in Somalia and the Balkans — led to reduced Canadian enthusiasm for the peacekeeping tradition that was first presented to the world by St. Laurent and Pearson. On September 11, 2001 the Canadian Armed Forces were probably as badly staffed, armed, and equipped as they had been at any time in the 20th century. Naval craft were outdated, fighter aircraft dangerously old, and ground equipment unsuited for a world in which guerrilla warfare, sniper fire, and land mines impeded the movement of troops everywhere. The attacks on the World Trade Towers and the Pentagon brought a cry for revenge from the United States, and President George W. Bush (b. 1946) declared the War on Terror. 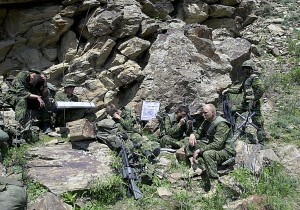 NATO was automatically involved because of its foundational policy to respond to an attack on one as an attack on all. Faced with American fears that the international boundary with Canada was an unguarded gateway for terrorists heading to targets in the United States and the consequent closure of border crossings, Ottawa committed quickly to the American crusade. The enemies, in this case, were principally the Taliban (the Islamic regime in Afghanistan) and al-Qaeda, a jihadist group pieced together in the 1980s by the Americans to fight against the Soviet Union. Canada’s interests in the Middle East are complicated by its relationship with Israel, the central foe of organizations like al-Qaeda. One of the first countries to recognize Israel in 1947, Canada has maintained close relations ever since, with a few important breaches. There was, for example, a broad loss of Canadian confidence in the Israeli regime following the First Intifada in 1987; sympathy for the Israeli people was, however, aroused by Iraqi missile attacks on Israel during the First Gulf War. Concurrent Canadian sympathy for Palestinians, however, has not sat well with Tel Aviv. Despite these interruptions, the largely strong connection has been manifest in a bilateral free trade agreement that was reached in 1996. When 9/11 produced the War on Terror, Islamicist groups understood Canada to be first and foremost an ally of their sworn enemy. This was not a conflict in which Canada might employ its historic commitment to multilateralism or negotiation. Figure 12.5 Canadian infantry searching for Taliban and al-Qaeda cave strongholds in the Tora Bora region in Afghanistan, May 2002. The commitment of troops and materiel to the Afghanistan War was substantial. The first troops — including an elite team of snipers — arrived in Afghanistan in 2001 with an anticipated end-date of 2003. Canadian operations included training local forces to protect the post-Taliban regime as well as relieving American troops in Kandahar Province at the centre of al-Qaeda territory. In 2005 troop numbers were increased substantially as the focus of the war shifted to dealing with a resurgent Taliban. Canadian involvement in Afghanistan is reckoned to have involved 40,000 Armed Forces personnel from 2001-2014. Withdrawal from the fray has been announced repeatedly, but to date it remains an inconclusive withdrawal — Canadians continue to participate in developing and training Afghanistan systems and forces engaged in anti-Taliban efforts, despite a formal declaration in 2014 that Canadian military involvement was at an end. In fact, the official end of the Afghanistan campaign came just five months shy of the 100th anniversary of the assassination of Archduke Franz Ferdinand (1863-1914) and the start of the Great War. Armed conflict had, in this long 20th century, changed dramatically. Whereas, the World Wars introduced and refined industrial means of killing large numbers, the War on Terror represents a return to guerrilla tactics of a kind with which 18th century Canadians and First Nations had greater familiarity. Ambushes, traps, and sniper fire — along with improvised explosive devices (IEDs) and suicide bombers — gave the conduct of war a very different shape. Although statistics on wartime casualties and fatalities are difficult to verify, it is thought that nearly 11% of Canadian troops died between 1914 and 1918, and that the ratio of combat injuries to combat deaths in WWI was nearly 3:1; only 159 fatalities were recorded in Afghanistan (a mere 0.4% of the 40,000 troops deployed), although the ratio of casualties to fatalities is more than 4:1. Guerrilla warfare is geared to inflicting injuries and depressing morale; as well, medical advances make it possible to save the lives of badly damaged soldiers and other personnel and, thus, inflate the casualty list. Nonetheless, it is clear that 21st century wars — so far — have been distinctive. Another feature of war that has changed is the awareness and treatment of what has been called, since the 1970s, post-traumatic stress disorder (PTSD). The Great War produced conditions that included heavy and continuous shelling of military positions that could neither advance nor retreat; one consequence was a kind of psychological condition called shell shock. Subsequently, after the Second World War, this was rebranded as combat stress, a term that was used until the end of the Vietnam War. It was then that PTSD came into common use. The 20th century is the first century in which psychology, psychiatry, and psychotherapy became recognized as both academically legitimate areas of study and publicly available forms of analysis and treatment. The mental health consequences of warfare in the long 20th century could only be understood in the context of contemporary and evolving ideas about the human mind. The post-Confederation period saw warfare evolve quickly: from pitched sniper fire (of the kind conducted in Saskatchewan in 1885), through the appalling graveyard of trench standoffs in WWI to the bombing of civilian targets (and the appearance of atomic weaponry) in WWII, on to the technologically-reliant but seemingly less predictable conflict of the early 21st century. Adjusting to these changes has taken a severe toll on the health of soldiers. After the fall of the Berlin Wall in 1989, NATO was drawn into the breakup of Yugoslavia, and conducted its first military interventions in Bosnia, and later Yugoslavia in 1999. Politically, the organization sought better relations with former Cold War rivals, and several former Warsaw Pact states joined the alliance in 1999 and 2004. The September 2001 attacks signalled the only occasion in NATO’s history that Article 5 of the North Atlantic Treaty has been invoked as an attack on all NATO members. After the 9/11 attack, troops were deployed to Afghanistan under NATO’s leadership, and the organization continues to operate in a range of roles, including sending trainers to Iraq, assisting in counter-piracy operations, and most recently, enforcing a no-fly zone over Libya. The collapse of the Warsaw Pact and the end of Soviet power produced a set of changed global conditions. The American policy of “containment” was superceded by more unilateral action, often in zones that would have attracted the interest of the Soviet Union in the Cold War era. Rather than becoming less involved internationally, in the two decades after the Cold War, Canada became more engaged with military and peacekeeping missions, including several in Africa (but most notably in Somalia and Rwanda) and in the former Yugoslavia. Internal crises in the Canadian Armed Forces and changing military needs in a technologically evolving era produced a simultaneous desire to reduce military costs while investing heavily in new and more sophisticated systems and hardware. After nearly three decades of Canadian satisfaction with peacekeeping missions, events in Somalia, Croatia and Kosovo, and Rwanda turned public opinion against this tradition. Canada’s NATO obligations compelled it to participate in the American reaction to the events of 9/11, leading to more than a decade of entanglement in Afghanistan. Canadian Airborne Regiment, Chaplain Capt. Mark Sargent Behind a Group of Bound and blindfolded Somali Civilians (Online MIKAN no.3604003) by Commission of Inquiry into … Deployment of Troups… Somalia / Library and Archives Canada is used with no restrictions. Rwanda has my soul [Roméo Dallaire] (Online MIKAN no.3959433) by Library and Archives Canada, archival reference number R13185-4, e010752967 is used with no restrictions. UNAMIR Blue Berets memorial Kigali (4) by JA_ALT is in the public domain. Operation Torri command post by SSGT Jeremy T. Lock / United States Air Force (ID 020504-F-JQ435-004) is in the public domain. 12.2 The End of the Cold War by John Douglas Belshaw is licensed under a Creative Commons Attribution 4.0 International License, except where otherwise noted.